Today, Future Tech Lab and PQube release a twisted love story with Song of Memories on PS4. 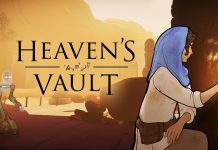 The romantic visual novel and its dark turnaround are an innovative and unique take on the genre that makes players meet their soulmate in the middle of an apocalyptic virus outbreak. Can you save the ones closest to you or will all your endeavors be in vain? Romance six gorgeous girls, experience multiple endings and reshape the story around your chosen one true love. The fully animated characters move and react to one another's lines and are all voiced by the original Japanese cast across more than 40 hours of audio. Your decisions affect what happens! Keep track of every single twist and turn with the storyline tracker, which lets you revisit choices and explore different outcomes. Also, don't be fooled by the colorful exterior: Song Of Memories is a tale of love in the early days of a monster apocalypse! Can you discover the truth and save the love of your life? 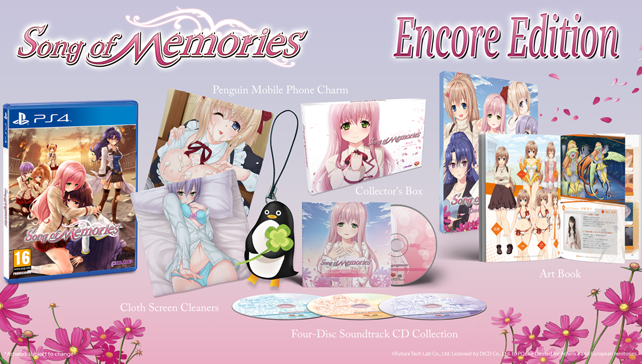 Apart from the Standard Edition, PQube and the developers partnered with Rice Digital to offer fans the Song of Memories Encore Edition. 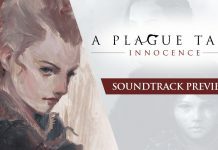 The collector's dream come true includes an art book, the four-disc soundtrack CD collection, a smartphone charm and more – all neatly organized in its own big box! Song of Memories is available both physically and digitally on PlayStation 4 now.